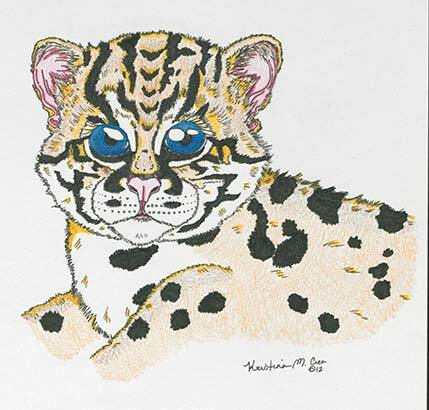 Cartooning and Book Illustration will be presented on Saturday, May 31 from 1-5 pm and Wildlife and Nature in Acrylics will be on Saturday, June 7 from 1-5 pm. The instructor for both of these workshops will be Kristina Hoffman. The Cartooning and Book Illustration workshop will feature the drawing and development of cartoon figures and story boards for graphic novels and comics. Experience an exciting approach to creating art using cartoon, anime, and comic book characters. Kristina is an experienced art teacher and professional artist, happy to share this unique art experience with the participants. The fee for each workshop is $45 and pre-registration is required. Details and registration information are on the web at http://artworks.berkeleyartswv.org/workshops/. For more information email berkeleyartswv@gmail.com or call 304-620-7277. This spring, artists and nature lovers can learn how to use the creative techniques of “Spritzilism” to capture Nature’s endless design patterns. 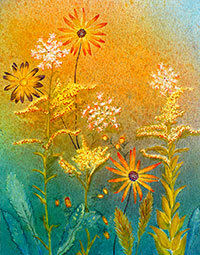 The painting style, developed by teaching Artist Judith Becker, uses real botanicals as templates–flowers, leaves, even weeds! Becker demonstrates and teaches her method of using sprayed watercolor and a choice of paints, pencils or acrylics to bring out Nature’s endless design patterns. A certified instructor, Becker will also teach Intermediate Watercolor Painting, Intermediate Watercolor Pencil, and Intermediate Colored Pencil, continuing from basic classes that have been offered previously. New students with experience are welcome for these classes, to be held on Wed. and Friday afternoons beginning May 7. The Berkeley Art Works studio will also host an Acrylic Painting Playground with instructor Jean Kellogg introducing varied creative techniques on Thursday evenings beginning May 8. Full descriptions, schedule details and online registration are available at http://www.berkeleyartswv.org/artworks/instruction/. For more information, email berkeleyartswv@gmail.com or call 304-620-7277. The Berkeley Art Works is located at 116 North Queen Street in Martinsburg, and hosts art exhibits, classes and workshops, and a co-op sales gallery. All activities are sponsored by the nonprofit Berkeley Arts Council. The artists’ reception for the Berkeley Arts Council’s Fourth Annual Art and Earth Juried Exhibit will be held tomorrow (Saturday) evening, April 12 from 5-7 pm at the Berkeley Art Works, 116 North Queen Street in Martinsburg. This year’s exhibit received a record number of entries from 14 states. Juror Lauren Schell Dickens, Assistant Curator for Contemporary Art at the Corcoran Art Museum Selected 36 artworks from 27 artists from 12 states. The exhibit is on display through May 4. Come downtown to the Art Works and meet the artists and enjoy light refreshments at our reception. 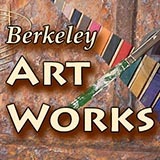 If you haven’t yet visited the Berkeley Art Works, now would be a great time to check out fine art and fine craft items by our “Artists at The Works” co-op group AND a wonderful exhibit juried from a wide range of submissions from around the country as well as all over West Virginia.